Mike White, Territory Manager at Geotech, part of QED Environmental Systems, shares his thoughts on why he believes the groundwater industry will start to see a move towards low flow sampling to achieve better quality groundwater sampling, specifically using bladder pumps. Groundwater monitoring is an essential element in any environmental information system. 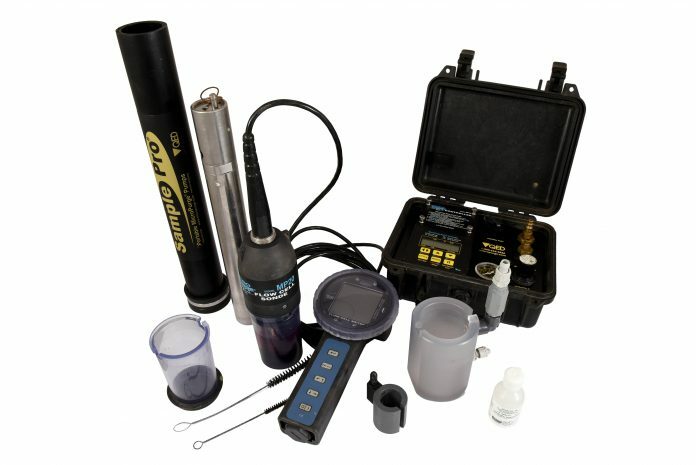 Acquiring a representative groundwater sample, however, can present certain challenges, both in the method and outcome. When establishing groundwater quality and where it is present, a whole host of logistical, environmental and business concerns can arise. While there are a handful of methods to sample groundwater today, the objective ultimately remains the same: to collect accurate water level measurements and samples to determine flow and gradient, groundwater conditions and real trends, whilst avoiding altering the sample through disruptive sampling methods. • Overall reduction in water disposal and loss. Ultimately the lack of soil disturbance results in far greater accuracy, meaning samples yield consistent and reliable data across samples and there are far fewer false results. It also results in indicator parameters and target analysers stabling sooner at lower pumping rates. Whilst lower stress equals lower sample turbidity, providing a better picture of the true contaminant level and can eliminate the need to filter samples. The best method for low flow sampling is utilising bladder pumps, which have been proven superior in independent studies for providing the widest range of groundwater quality parameters. Bladder pumps include no suction or high-speed impellers to outgas volatile compounds. The ‘no churning’ action avoids increasing sample turbidity, and no contact of the air drive with the sample. As a QED company we firmly believe in the benefits of low flow sampling, and that it is the future of the industry as we have already seen the method gaining popular traction in America. Businesses must remember that as its our natural source of water, it is essential we avoid wasting it with unnecessary purging and contamination that could easily be avoided. We look forward to supporting this progression for the industry to support a sustainable future for us all.